Silicon Valley, the Shangri-La that births much of our beloved tech, can seem somewhat susceptible to trends, fads and cult-like movements (hey, it's California) and some of that Kool-Aid is bound to trickle down to the rest of us through the products we use. The new slice of Android Pie comes laced with a dose of the latest new thing: Digital Wellbeing. Oh joy. 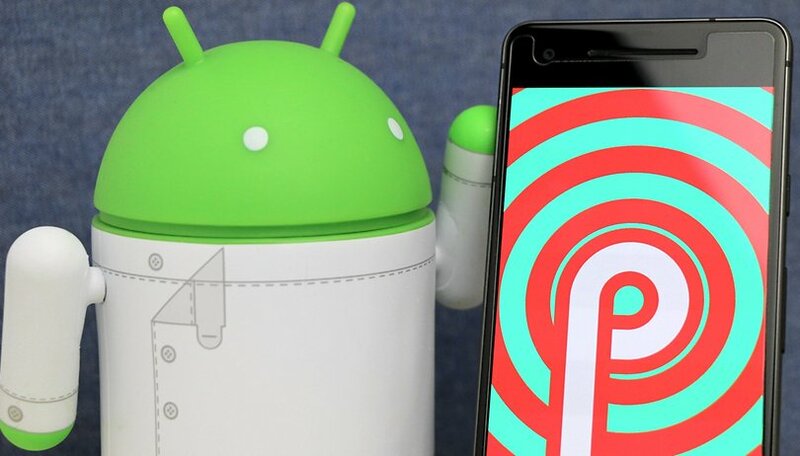 Will your smartphone get Android P? Mindfulness and wellness in general have become buzzwords in the tech community, but have only recently taken concrete shape in our smartphones in the form of digital well-being tools that limit our own use of the devices. Apple did it first, and I got a cheap laugh out of the stereotype of cult-like Apple users: of course they needed babysitting. But Google's Android P Digital Wellbeing tools mark the adoption of this trend into the mainstream (slowly but surely, we all know the majority of devices will be slow to adopt the new version). But let's be honest, no one really needs this. What exactly does Digital Well-Being mean? Digital Wellbeing refers to a package of apps meant to encourage what Google CEO Sundar Pichai called "JOMO," for the "joy of missing out"—in contrast to "FOMO" or fear of missing out. That's a nice branding for the half-hearted band-aid over the social anxiety that big tech deliberately created. Are we having fun yet? The four horsemen of JOMO? The Dashboard that gives you detailed data about your phone usage, App Timers for limiting your own app usage, a "Devices "Down" Do Not Disturb mode for preventing visual distractions from appearing on your phone during social occasions, and a new Wind Down feature for encouraging you to disconnect at night. I'm no Luddite, but let's say the obvious here. This is all achievable without by putting down your phone when you're doing something else, stopping an app when you feel like it, and paying attention to your friends. They deserve it. Before we put limits on our phone, maybe we should cut out the middleman and limit ourselves. What good can it really do? Of course, wellness features are optional, so those of us committed to vice will thankfully be free to continue to indulge our depravity. But that's also the point. The answer to spending too much time on your smartphone doesn't lie in yet more smartphone gimmicks to play around with and obsess over. You can imagine Digital Wellbeing settings becoming a topic of conversation for the tediously self-obsessed, a new social metric to generate its own brand of anxiety. If you've ever been cornered at the water cooler by a wellness bore that insisted on relating to you all the fine points of their latest juice cleanse, now we've got a geekier version to hear about. The meditating, micro-dosing, raw-water-chugging Silicon Valley exec has some ideas about healthy lifestyle and productivity, and in the future, we may see these assumptions (and predjudices) built in to the software our our smartphones and devices all around us. Digital Well-Being isn't different from any other shallow physical health fad we've seen in the past. If you've got anxiety about your phone use, you'll still have it, except you might feel better for a while because you get to push a few buttons and see a nice message about how well you're doing because you cut down 20 min of screen time today. If Google, Apple, smartphone manufacturers and big tech wanted to increase their contribution to the happiness and health of human beings, there's a lot they could do. Improve the working conditions in factories and ethically source their components, for a start. Limiting predatory in-app purchase schemes would be nice, too. With Digital Wellbeing, big tech wants to come across as caring and life-affirming, but it's really just an exercise in PR to counter the criticism that their products and services have exacerbated social problems. This might bring a little JOMO to your life, and if you really want to, you can try this Digital Well-Being on your Pixel phone here, but I'm convinced that the answer to smartphone overuse doesn't lie in yet more smartphone gimmicks. And the patronizing attitude from corporations that comes with it just makes my stomach turn. Sure, I'm looking forward to new convenience features of Android P, but when it comes to Digital Wellbeing, I'm going to say no to JOMO and be my own doctor. What do you think of Digital Wellbeing? A welcome feature or just an empty buzzword? I agree that for normal "common sense" types like us the notion of having Google manage our online time is just a gimmick, a stupid nod to Political correction. Unfortunately there is a large number of people who through generations of ineptitude are unable to manage their lives without input from a third party. Be it social media, Government etc. They have no general life skills. They will become engrossed with the latest trends on Twitter, constantly refreshing Instagram to see the Kardashians latest shade of nail varnish or on Facebook gossiping and watching pointless videos of cats and dogs on YouTube. These people will welcome the intervention from Google or Apple 💩 - they may even take the break to actually speak face to face with other family members.